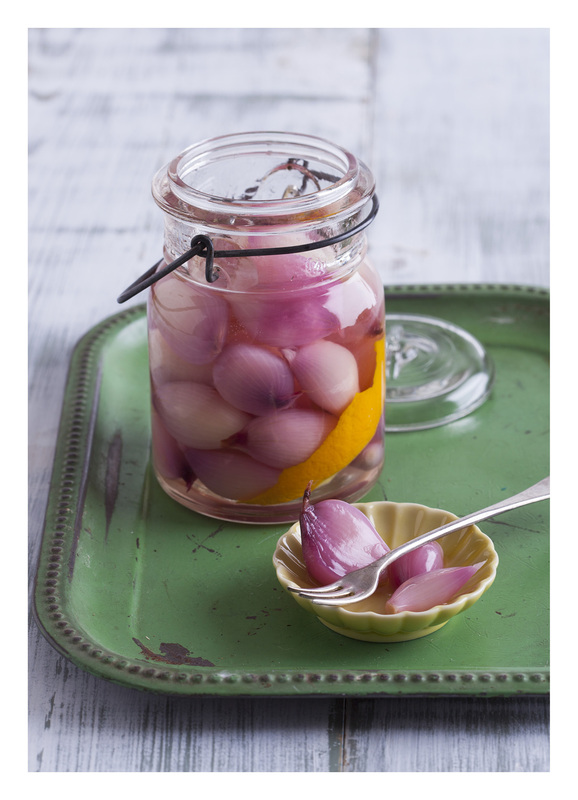 Most vegetables lose their bright color when dunked in brine for a few days, but shallots buck that trend beautifully. Not only do these midget onions turn a pretty pink hue, but they also get sweet and mild as they pickle, making them a pleasure to slice and toss atop anything from the wok, but also mild enough to meld into leafy salads, sandwiches, chicken or tuna salad, and cold noodle dishes. And with the twist of orange and the booze in this brine, there are certainly cocktail applications to explore here far beyond the scope of Chinese cuisine. This recipe is an excerpt from Asian Pickles: China: Recipes for Chinese Sweet, Sour, Salty, Cured, and Fermented Pickles and Condiments. Bring a medium saucepan of water to a boil. While you’re waiting, peel and trim the shallots. Once the water is at a high boil, blanch the shallots for 2 minutes, until just tender. Drain and rinse well under cool running water to stop the cooking. Place the orange zest in the bottom of a clean pint jar. Pack in the shallots and pour in the wine or gin, vinegar, sugar, and salt, then top off the jar with the water as needed to cover all the shallots. Cover tightly and shake to combine the ingredients. Let sit on the countertop for 24 hours before refrigerating. The pickles are ready to eat after 3 days. Kept refrigerated, they will last at least 6 weeks.